Owner's name / Home port. The Topaz is a Nobby built at the Fisheries School in Baltimore, Co. Cork in 1899 at a cost of £130 on behalf of the Congesteded Districts Board. Currently lying at Renvyle Co. Galway. The Congested Districts Board (CDB) was established in 1891. Its objective was to relieve poverty in the overpopulated or ‘congested’ districts of the west of Ireland. Its activities included land reform, improvements in infrastructure and housing and the establishment of craft industries. 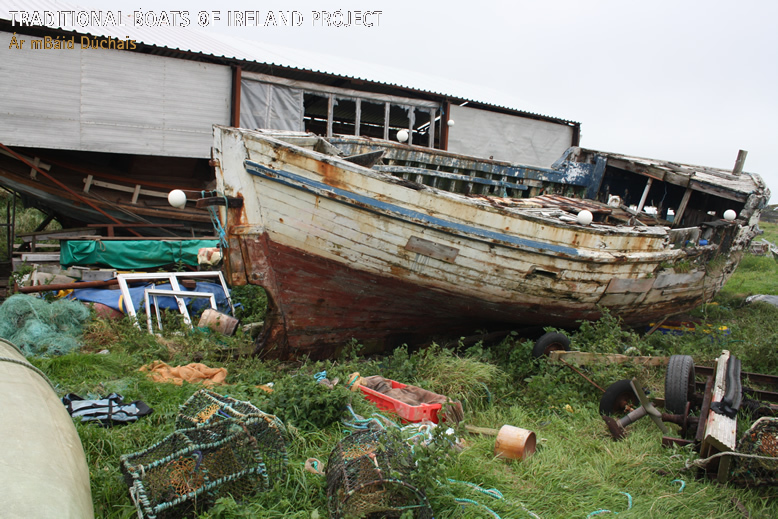 In all, by 1909 a total of 189 new boats had been commissioned; 90 were built in Irish boatyards, including 30 boats plus two hookers in Co. Galway. During the 30 years of its existence the CDB made an enormous contribution to improving the conditions of the communities for which it was responsible. The board was dissolved in 1923 and its staff was absorbed into the Irish Land Commission when its functions were assumed by the Department of Fisheries and Rural Industries.